He sates that Helios, The Sun, orbits in 25920 years. This is wrong. The Sun's orbit about the center of the galaxy is about 200 million years. 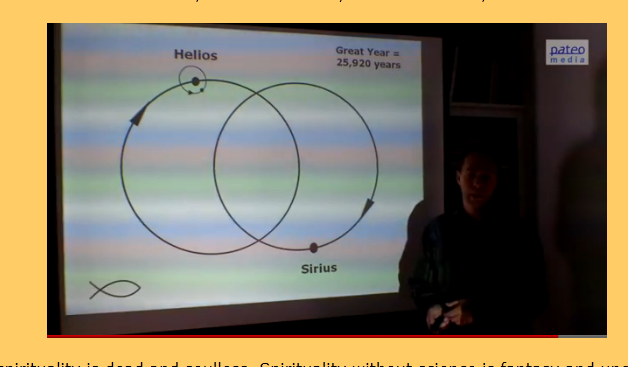 He also states that our sun is in a binary situation with Sirius. This is also totally false. How can stuff like this get published ?